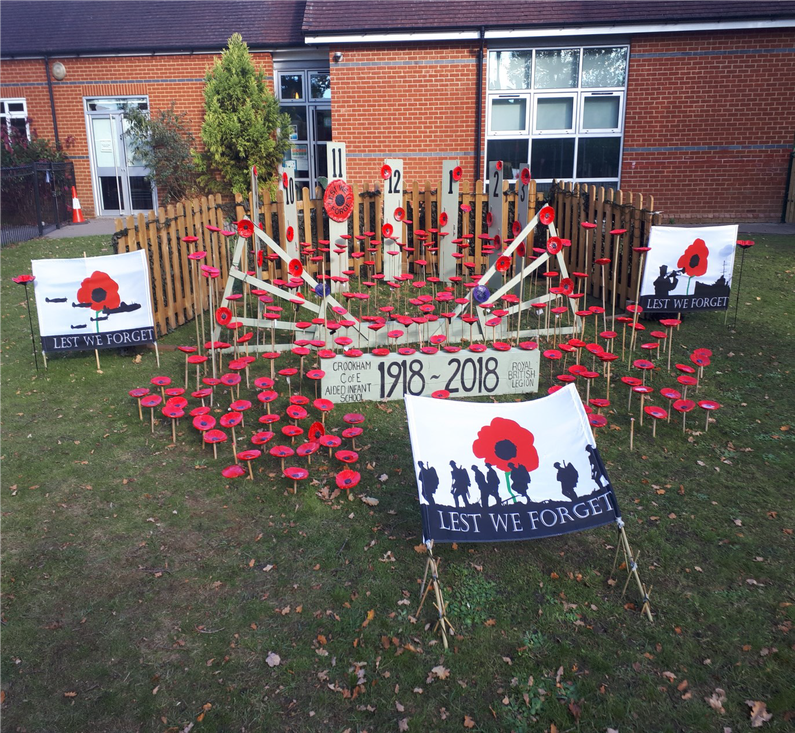 Thanks to the generous time and talents of local artist Philippa Taylor, with some kind help from our neighbour Mandy Saunders, every child in the school was involved in painting a ceramic poppy for remembrance. These were displayed in our grounds opposite the War Memorial in the days leading up to Armistice Day/Remembrance Sunday 2018. After 11th November children had the opportunity to take their poppy home in return for a donation to the Royal British Legion, whose active local branch is always a great supporter of our school, helping our pupils to mark remembrance in an age-appropriate way. Children in Year 2 walked to church for a short service of remembrance led by Rev Franklin, followed by the laying of crosses in memory of those who gave their lives for us in Church Crookham. 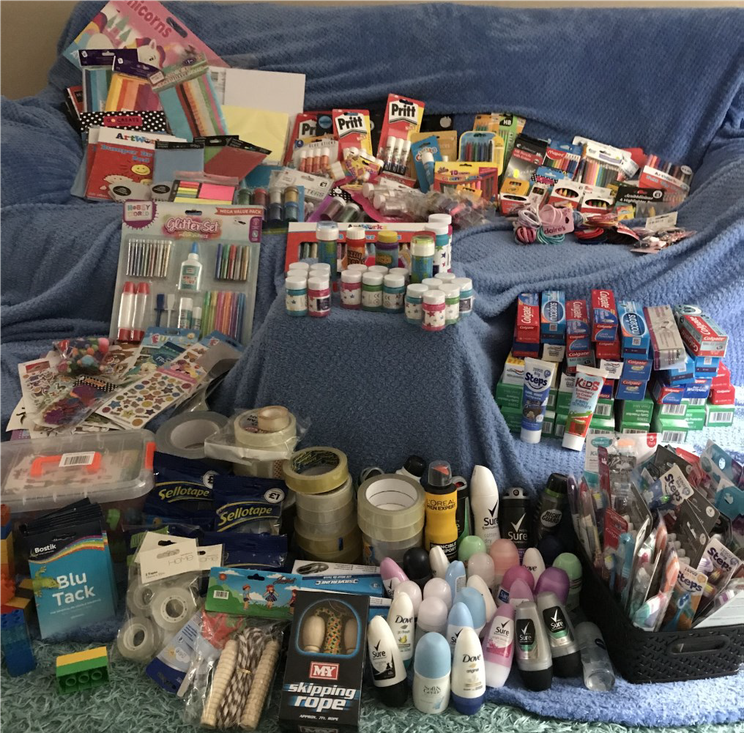 The children always find this a moving event but also one where lives are celebrated and we are reminded of what it means to ‘love our neighbours as ourselves’. 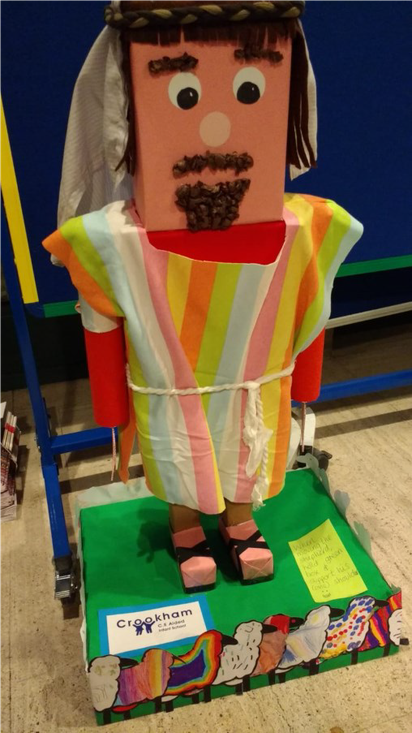 We were thrilled that our wonderful shepherd made by Oak class was on display over Christmas in Guildford Cathedral as part of the Nativity Display. Nativity figures were hand-crafted by pupils from over 40 church and affiliated schools. The characters helped to tell the Christmas story beautifully, really transporting Cathedral visitors to the lowly cattle shed. Visitors were treated to the sight of over 100 shepherds, donkeys, kings, camels and a band of angels.